I do, however, have 2 wine racks upstairs and that’s what I started writing about last weekend. What’s in my wine rack. I actually havent’ had this wine yet. It was given to me as a Christmas gift, and its a 2008 Rolf Binder Halcyon Cabernet Merlot. If anyone has tried it, I would love to hear from you. Yes, I actually do own a bottle of wine that looks like this. It’s the La Fiole Chateaunneuf du Pape. 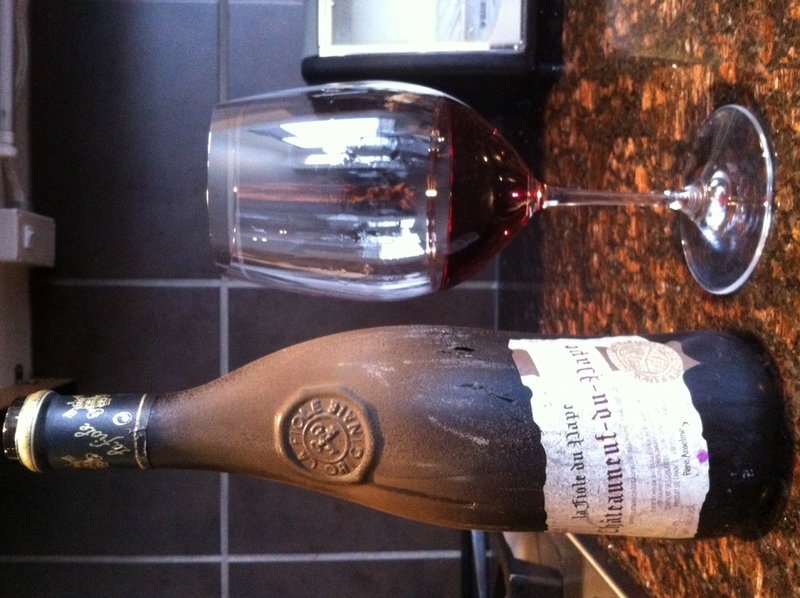 This Chateaunneuf du Pape is light, flavorful, has been trashed in some reviews, given 94 out of 100 in other reviews. I love the bottle, it’s a real conversation piece. It looks like buried treasure. Keep in mind it’s a non-vintage wine which means the grapes have come from several different years. I like it. Now I have a quick question before I go. What kind of wine would you buy if you were given a gift certificate to the wine store? Actually 2 gift certificates! Please, send me your comments. I have a wonderful opportunity to buy a bottle of ‘treat’ wine, and would love to hear from you. First, let me start off by apologizing for my last wine blog on Vouvray and Chenin Blanc. I had to erase it, because for some odd reason the first half of the blog got erased or deleted. It just looked silly after that. As most of you know, I used to only drink red wines, but since taking the Level 1 Wine fundamentals course, I have started drinking and enjoying white wines as well, and having a lot of fun getting to know the world of white wines. Marques de Riscal Reserva Rioja. I actually learned how to properly pronounce the wine in class. 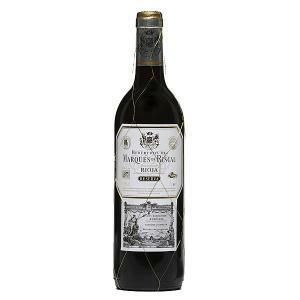 Aged for 3 years, with at least one of them in oak, I just love the earthy aromatic spicy taste of this wine. (I think I have myself talked into cracking open a bottle of this one tonight) It sells for just about $26 at NLC. One of my favorites to have with a steak. Angove Mclaren Vale Shiraz is about $25 in our liquor stores and a great great wine. Deep vibrant color, rich plum and berry flavors on the palate, a hint of oak, if you are putting beef on the BBQ tonight, treat yourself to a bottle. I have been blessed with very special friends and I am lucky enough to have two of these in my wine rack, both gifts from wonderful people. I am saving them for something special. Wolf Blass Grey Label Shiraz. About $36 in our NLC stores in Newfoundland, what doesn’t this go with. Meats, pasta, cream sauces – you know, all the calorie friendly foods. (Kidding!) Perfect flavor, color and tannin. It’s one of the reasons Australia and more particularly McLaren Vale, is known for the Shiraz. So, that’s it for this week. I have about 40 bottles of wine on hand at any given time so we’ll pick a few different ones next week. In the meantime, ‘In Vino Veritas – In Wine There is Truth’.